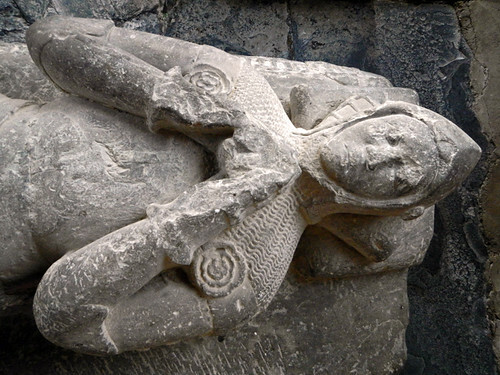 A knight’s tomb in St Grwsts Church in Wales. The elaborate costume featuring the coat of arms for both the knight and his horse at the medieval castle ruins near Fressin, France. A metal sculpture of the most famous knight Don Quixote. 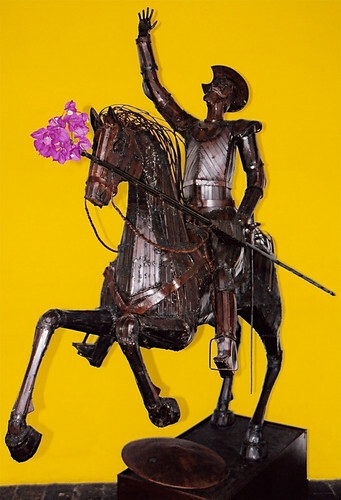 This particular statue was in Antigua, Guatemala and someone had stuffed a cluster of pink Bougainvillea flowers on the end of his lance – reminding me of the students at Kent State University protesting the Vietnam War by placing flowers in the barrel of the rifles held by soldiers. 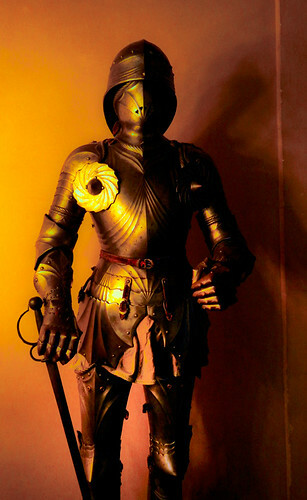 A knight in full armour in a castle-museum in Segovia, Spain. 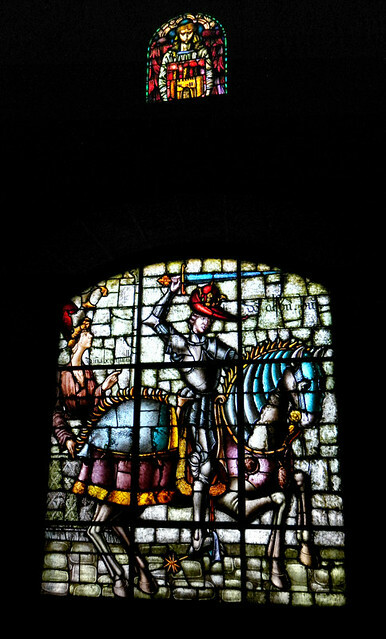 Also in Segovia Castle, a stained-glass window featuring a knight in armour on horseback. 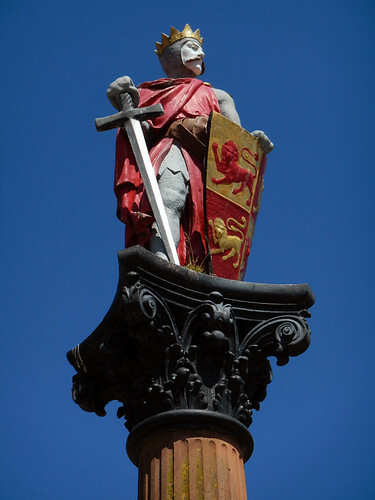 A painted statue of a knight in armour on a pillar at Conwy Castle in Wales. 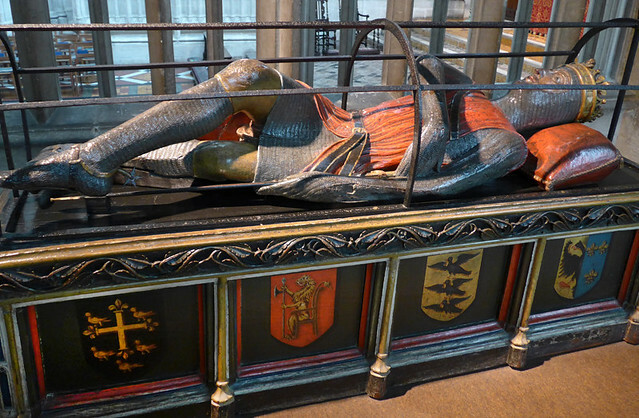 A knight’s tomb in Gloucester Cathedral, England. 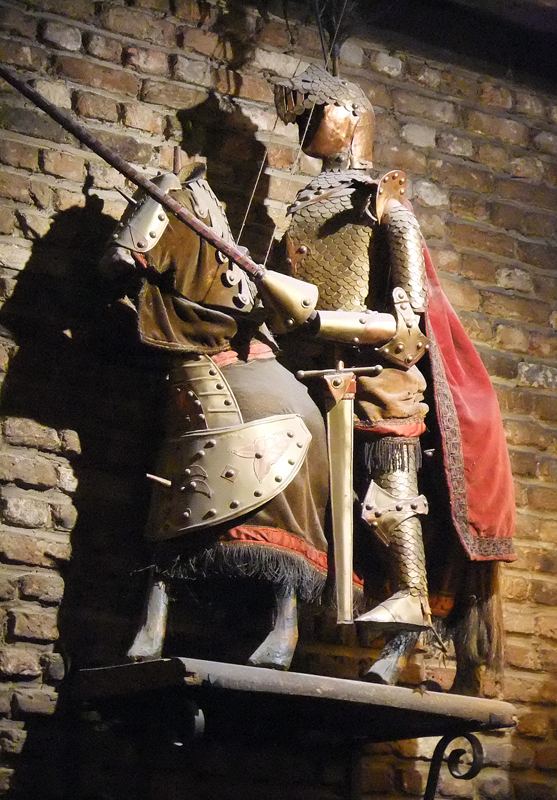 A knight in armour astride a horse at Toon, a historical pub in Brussels, Belgium. 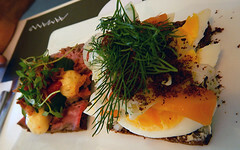 More on Cee’s Fun Foto Challenge: Word with a ‘K’ in it. 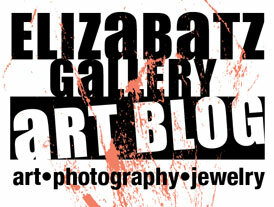 Knights are so fascinating – I’m still working my way through Don Quixote and his jousting with windmills!